We just LOVE these cute merino leggings with feet. Made for the wee ones in our lives, these are fantastic for wearing with a bodysuit as sleepwear or just for keeping warm at any time. Super comfy, super cute! This is the third pair of merino footed leggings I’ve bought and my daughter lives in them! So soft, and thin enough to be cool for a warmer day, and but still warm when it’s cold. They hardly pill at all despite being put in the (wool) wash regularly. I recommend them! I love these pants. We have bought the footless ones in the past (also loved them) but the footed ones are ever better for the cold days and they have lots of stretch and room for my 6 month old son's huge feet! 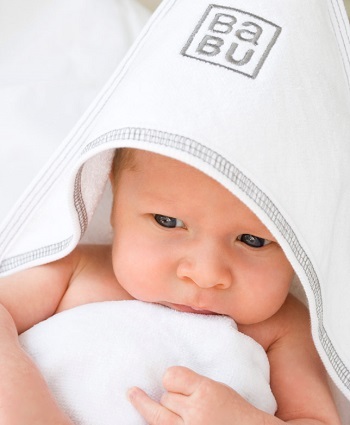 As always Babu quality is faultless..... soft, durable, warm. Love, love, love these -- bought them over and over again. You can imagine the dilemma when our daughter had to go into a Pavlik harness at 8 weeks. All those onesies and outfits went on hold and we struggled to find clothes. But, these leggings were a lifesaver. Even after the harness came off, she continued to live in them for a few months after!